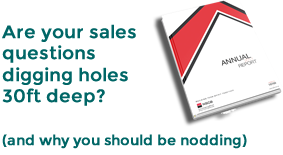 “Our sales activity suddenly seemed to be having less impact, we found ourselves runners up when we previously would have been preferred suppliers. We had confidence that our offer was superior, yet we couldn’t understand why we weren’t winning. We had had some informal discussions with Hawthorn but had employed the strategy that if it ain’t broke… But this time we were struggling to fix it ourselves. We engaged with Hawthorn to deliver an intervention strategy, understanding that there would be no quick fix. Two things happened for us immediately however – the team were re-energised and found the confidence to try new ideas, and we understood what we were doing badly. Thereafter, it was a process of not just doing the right things, but doing them with style. The Hawthorn approach isn’t necessarily the easiest (if it was everyone would be doing it) but for us it has helped us get back to winning ways in what are for everyone challenging economic conditions.